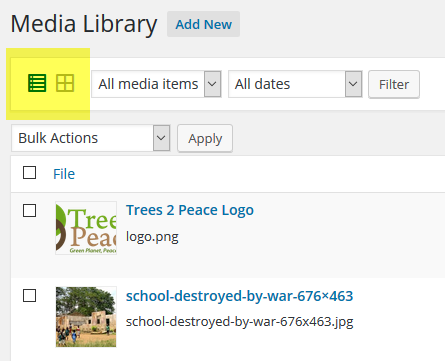 Media items are another type of content that WordPress lets you manage. These are normally files that you will include in the body of a post, page, or other content type. The WordPress file uploader supports many other file types. The WordPress Codex includes a complete list of supported types. 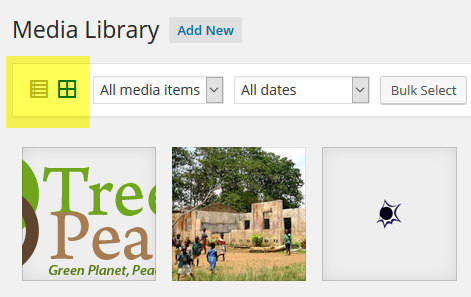 As seen throughout this online user guide, you will normally upload media items to your site directly on the post or page that will include the item. For example, as discussed in Adding Images, if you want to include a photo on your About page you’ll normally upload the photo while editing the About page. 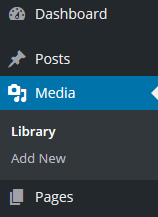 However, you can also add, edit, and delete all media items from a central location: the Media > Library menu. In either format, simply click an item to edit its details.